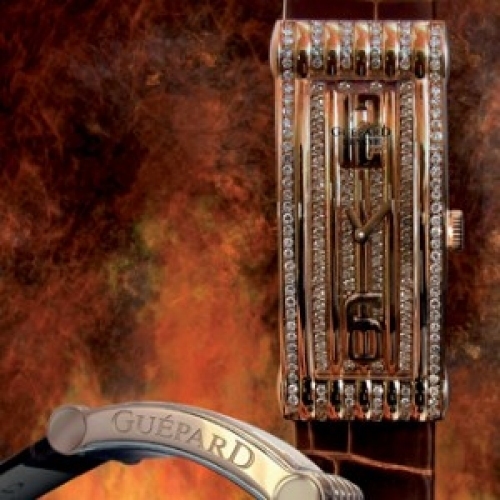 The Guépard brand continues its quest for excellence with the Beverly Lady, a subtle marriage of watchmaking and refined jewellery. The warm pink gold case and dial are perfectly set off by 221 diamonds, which lend a remarkable brilliance to this ultra-feminine creation. The distinct curved lines of the case gently hug the shape of the wrist, as do the crocodile strap and folding clasp, adorned with 29 diamonds.